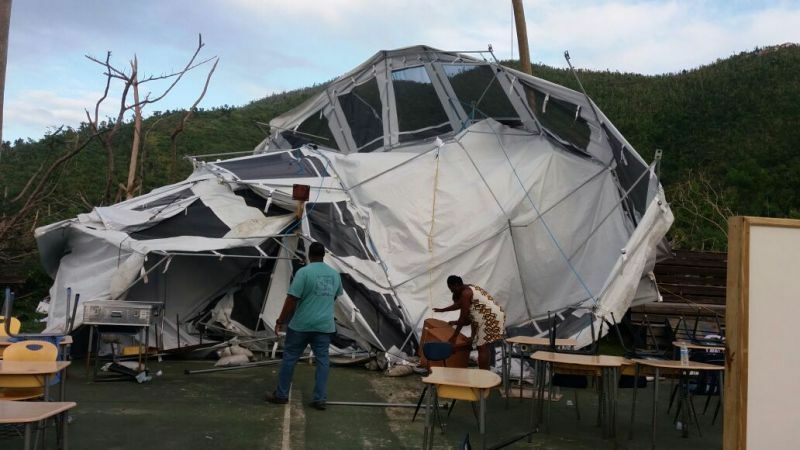 It was on January 6, 2018 that the tents accomodating students and teachers from various primary schools in the West End area were blown away by heavy winds, delaying a start to the academic term for the occupants. On a sunny day the conditions get extremely hot. And now the rains have come, presenting another problem- flooding. 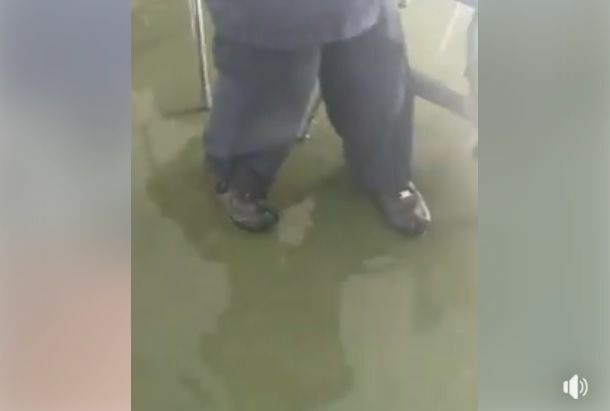 A short rainfall today, March 27, 2018, resulted in students and teachers having to wade in water under the tents. 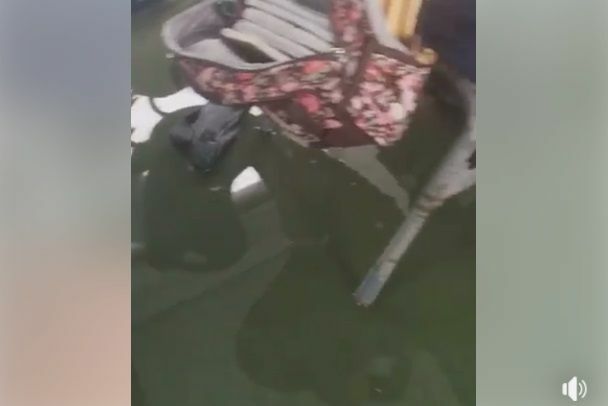 A video has also surfaced of the flooding, showing students moving around in almost ankle deep water. Parents of students attending the tent schools have long expressed disatisfaction with the conditions. It is unclear at this time if school was called off earlier than usual and whether it will resume tomorrow. Let's forget about it an all live in tents for the next few years..
everything sinking at the same time.. what is this? Explain how is he willful? Why? Because Hon. Fahie is VIP but what Myron need to realize is he's not spiting Fahie, these are children for God's sake!!! How can he say this is the best he can do??!!!!! I dear this man for one minute to think about these students and teachers. Everyone been very patient with this matter and still he sit and turn a blind eye. It's going on 7 months now since the hurricane and the school can't get fixed. It's poor excuses one after the next. But you what, my GOD is awesome. Who vex, let them vex because this is utter NONSENSE!!! There is more to come. As I said before hurricane season is just around the corner. Why in carnation they have the children suffering like this I would like to know. The world is round and Irma was just the beginning of storms to come to the B.V.I. Get on with the recovery of things that matter . SCHOOLS MATTER !!!! Wonder why many young people are so fed up . If we can waste 7 million on a plane why can't the Government buy some Modular class rooms to keep the children from harms way..It's a shame to see how much they wasted money and now our children will suffer..Just like the 400 mil the Gangsters trying to borrow to give away to Foreign investors.. There is no reason why Ivan Dawson school in CGB can’t be used. It has been no issue housing volunteers. No structural damage and the little flooding that occurs in heavy rains can be alleviated with some grading. Of course nothing will happen in CGB since Mitch ran his mouth. Imagine no schools are functional in the first district YET they did not even give the Leonora Delville Primary School which just needs a roof priority. Children are going home SICK and they asking for parents and teachers to be patient?! This is MADNESS! It need to be resolved like ASAP. The Governor need to get involved!